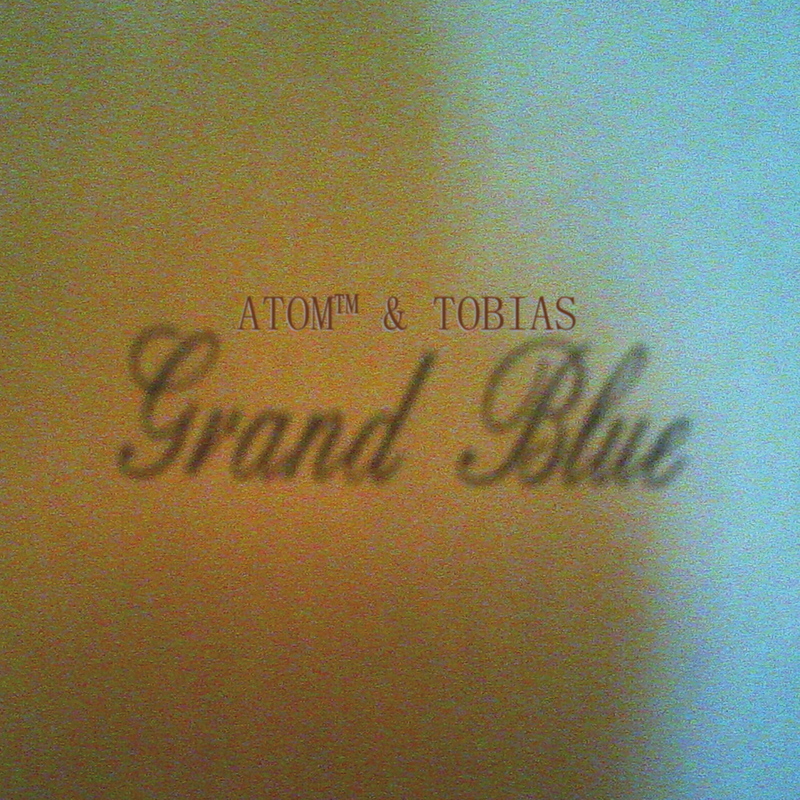 For those of you knowing the collaboration between Atom and Pink Elln (aka Tobias Freund) and the series of releases they have put out during the last 20 years, Grand Blue may come something of a surprise. Be assured though, that nothing has changed! Grand Blue, like all the other works of Atom and Pink Elln, has “the unexpected improvisation” as the invisible working title. This time, instead of drum machines and sequencers on a stage of a club, both artists by sheer coincidence found themselves confronted and intrigued by a completely different set of instruments: two pianos (a midi- and an acoustic one) that were standing in a tiny lobby of a hotel in niigata – Japan (the Grand Blue Hotel). The beauty of Grand Blue may lay in the total lack of intention, musical concept and, related to that, stereotypes! In other words, Grand Blue is a truly naïve, spontaneous and direct recording. It was neither driven by fulfilling a musical plan, a marketing concept nor by the egos of two artists firing at each other with the sophisticated knowledge of complex chord progressions. In fact, the lack of all that, and the resulting passages of fragile, drifting musical code make Grand Blue such a unique and emotional piece of work.